Last month, HARMAN hit another milestone as the industry’s leading solution provider for complete end-to-end connected car system, and we’re excited to announce our latest award win with Suzuki Motor Corporation. Under this new contract in our connected car portfolio, HARMAN will supply Suzuki with infotainment units in Suzuki’s IGNIS vehicles. Rich in its history for technological innovation, the Japanese market is a perfect demographic to offer HARMAN’s connected car capabilities. In fact, this new award marks the first infotainment system for the Japanese market to be embedded with Apple CarPlay from a Japanese automaker. The system adopted for the new IGNIS boasts full special HMI to ensure driver safety, easy smart phone integration to keep drivers eyes on the road and HARMAN’s navigation. In addition, the system supports Apple CarPlay, offering users a safer and more pleasurable experience using their Apple iPhone in their car by allowing the various functions of their iPhone, including calls, music playback and messaging to be controlled through the car’s display. Additionally, the system also allows the use of the voice-recognition function. 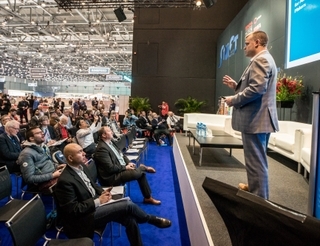 With more than 2,000 patents in all key domains – including safety, design, navigation, connectivity, networking, HMI and more, HARMAN continues to push the boundaries bringing connected car innovations to market that improve driver safety, increase vehicle security and enable new connected experiences.